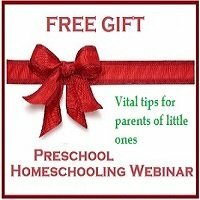 The benefits of using a preschool curriculum as a tool to simplify your life and ignite a love of learning in your children. For many homeschool parents, a good preschool curriculum provides a sense of security - at the end of the year of study, you can look back and say: "We did 'this or that' curriculum," and have something to show for your efforts. Although I believe that little children do not need a formal preschool curriculum, I realized that mothers need quality resources to create a stimulating learning environment for their children, as an introduction to their world and God's creation and to lay a foundation for their later learning. Each preschool curriculum that I have reviewed offers you carefully selected children's stories that will ignite your children's love of literature and learning. 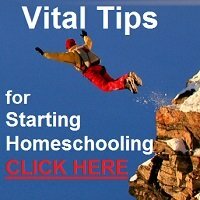 Each one has also been created by homeschooling parents, not classroom teachers or other educational professionals, so the authors are moms who understand the typical homeschool scenario. They know the many demands on a mother's time and the complexity of roles she must fulfill as wife, mother, teacher, homemaker, secretary, friend, etc. A preschool curriculum must be designed to simplify your life, not complicate it! These materials can also easily be incorporated into a preschool classroom by preschool teachers who are looking for new resources. On a day-to-day basis, a preschool curriculum gives you structure, as the lesson plans are provided and it saves you a lot of time and research enabling you to focus on what is important - teaching and training your precious little ones and establishing routines in your home. Each curriculum provider also offers after-sales support and encouragement as you use the products and they will answer any questions that you may have. They can also direct you to online support groups or forums where you can be in contact with other families using the same products. I cannot stress strongly enough that any preschool curriculum should be tailored to suit your children and your lifestyle. You should give your young children plenty of time to pursue their own interests, rather than only completing your agenda. 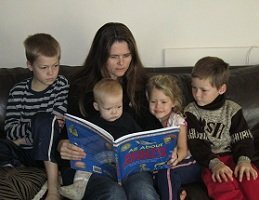 Each of the three preschool curriculums that I have reviewed on this site, ABC Fun & 1-2-3, Little Footprints and Sonlight A have been written more for you, the parent, who wants a program to help you provide a stimulating learning environment for your children, but without subjecting them to too much "school" stress. By using one of the above, you will expose your children to some of the best children's literature available. You will establish a routine for your children, you will develop a habit of spending time reading aloud together. You are sure to find that the books also become a source of common knowledge to which you and your children will often refer back: "Remember when the Ostrich couldn't fly, he kept on trying..."
But DON'T be a slave to a curriculum and force your children to discuss issues in which they have no interest, but rather allow them some "guided freedom" and spend more time investigating or discussing those topics that delight them and also repeat some of the activities that they enjoyed. As homeschoolers, we are under enough pressure from those outside our circles, so I do not want you to feel pressured from within and I certainly do not want your precious children to feel pressurized. Learning should be enjoyable and stress-free for both you and your children. So ... relax and enjoy the adventure with your children! The answer depends on the ages of your children, the budget you have to spend and the focus of your studies. is a very economical starting point as you only need to buy the parent's manual. You can source the recommended story books at the library and only buy the ones you love, if you choose. Sonlight A focuses on the world in general and also has different purchasing options. focuses on South Africa, and there are three different purchasing options to suit different pockets. 2003: We used Babies' Bible Class when my first little ones were 4 and 2. 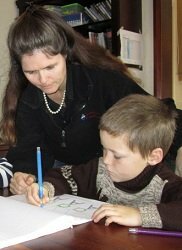 2005: We used Sonlight A in 2005, children's ages, 6, 4 and 2 with the younger two using ABC Fun intermittently. 2006: We used Sonlight B (1) package - my young students were aged 7 (Grade 2), 5 and 3 as we began the year. I also used ABC Fun & 1-2-3 with the younger two. 2007: We used Sonlight C (2) with my older two, aged 8 and 6. My 5 year old listened in to our read alouds and enjoyed some Handwriting Worksheets and coloring in and drawing during our formal school time. Due to the arrival of our new baby in April, she and my 2 year old son had a very unstructured year - but they made great progress in their development anyway! 2009: The older three did Sonlight D&E (3&4 )while the younger two, 4 and 2 were 'unschooled' - they did nothing formal or structured! 2010: I'll be using Sonlight A (K) again, this time with my 7 year old (Grade 2) and my 4 year old. Little Footprints.